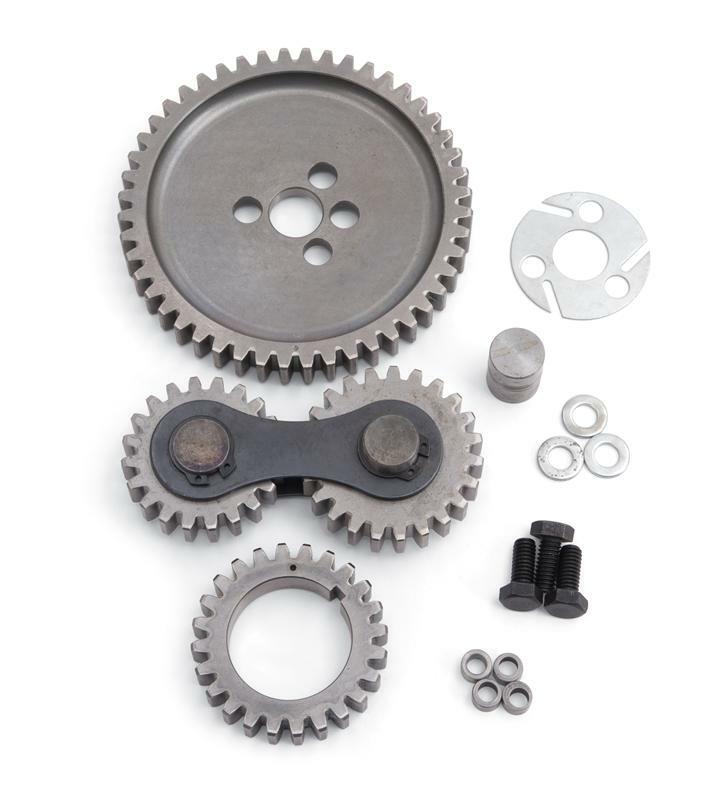 The Accu-Drive® camshaft gear drive kit replaces a stock timing chain with a precision gear drive system. The gear drive can be easily installed. Just replace the stock crank and camshaft sprockets with Accu-Drive® gears and slip in the idler assembly. Most Accu-Drives require no modifications to the engine block, although some fitting of the axles and front cover may be required. The Accu-Drive® gear drive system transmits power from the crankshaft gear to a full floating main idler which drives the camshaft gear. A unique feature of the Edelbrock Accu-Drive® system is the ability of the main idler gear to float to an optimum position between the crankshaft and camshaft gears, assuring absolutely equal load sharing between the crankshaft and the camshaft gears. The gears are made from billet SAE-1144 steel with induction hardened teeth. Gear teeth are shaved for precision operation. The set features hardened and ground idler pins from billet steel.